Spiderweb is the twelfth novel by Booker Prize winning author Penelope Lively. Stella Brentwood has led an exotic life for a woman of her time. Her frivolous best friend at Oxford, Nadine, knew early what she wanted: marriage and children. Stella, too, has had her share of passion, but her work as an anthropologist – always the outsider, the observer, was her priority. Now she has decided to root herself in Somerset landscape. But she finds that village society in England is far more chaotic, more unpredictable, and even more cruel, than she has known before. And that she cannot – or will not – conform to its rules. "She is a writer of great subtlety and understanding, and this is her best novel since Moon Tiger, which won the Booker Prize in 1987." "Evokes an escalating atmosphere of menace . 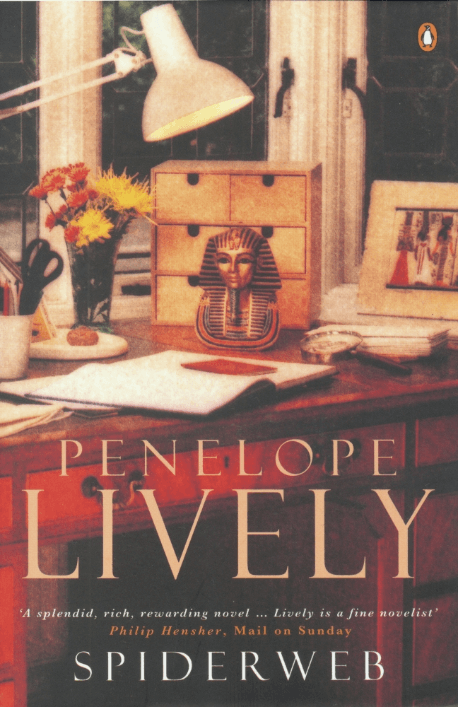 . . Lively at her deceptively easy-to-read best."